Being young is supposed to be awful these days. Jobs for new graduates pay a pittance, the cost of housing is high, and you are drowning in a vast ocean of student loan debt. With such daunting financial challenges on your plate, how are young people ever supposed to get ahead? While it's true that young people may be saddled with student loans, and the cost of housing may be high in places where they are seeking work, people in their 20s can generally afford to get by without big budgets. You are less likely to have children at this stage of your life, which means a smaller food budget and no expenses related to child care or schooling. You can be comfortable in a smaller living space, perhaps with roommates who will share the rent burden. If you need a car, you can probably get by with a subcompact with great fuel mileage and low maintenance costs. One of the more popular provisions in the Affordable Care Act allows a person to remain on their parents' health care plan until they turn 26. This is a huge benefit to young people who may still be in school or dealing with unsteady employment at first. If you are 25 or under and on your parents' plan, you may be able to save more than $200 in monthly premiums. Even if you don't get insurance through your folks, you may find that insurance is relatively inexpensive for a person your age. People under 30 are generally pretty healthy and don't represent a high risk pool for insurers, so premiums are likely to be manageable at this stage of your life. According to a price index report from eHealth, a private online insurance exchange, people between ages 18 and 24 paid an average $217 in monthly premiums in 2017, and those between 25 and 34 paid $283. Premiums jumped to $361 for those aged 35–44, and $478 for those aged 45–54. Additionally, because young people are generally healthier, they can afford to take a calculated risk by purchasing insurance with lower premiums in exchange for a higher deductible. Go ahead, sleep on your friends' sofa for a few weeks. Accept that offer for a free lunch. Tell your brother you'll pay him back later for that movie ticket. It's OK, no one will judge you too harshly. I'm not suggesting you have a free pass to bum off your friends and family, but we do have the tendency to give young people a break when they ask for free stuff. If you're under 30, we assume you aren't yet established in your career. We assume you may have student loans. We assume you're driving a beat-up old car. We assume you're still developing personal finance skills. Even if these things aren't true, we're lenient in dishing out small "loans" or offers of free food or places to stay. We tend to be far less sympathetic to people over 30. It's a troubling reality that some employers prefer to hire young people, because they assume they will have skills that older people don't possess. This is especially true among startups and in the tech industry. Job site Indeed surveyed 1,011 U.S. tech workers and found that 43 percent of respondents worry about losing their jobs due to being too old. The survey also revealed that millennials make up the bulk (46 percent) of the tech workforce. I hesitate to characterize this as a "perk" for young people, but it's clear that being young can be an advantage when looking for work in certain fields. You are being recruited for your dream job at a hot startup company — but the catch is that it's 3,000 miles away in California. So? Pack up and go! At this stage of your life, you have very little keeping you from pursuing opportunities. You are less likely to be married with kids, less likely to own a home, and less tied to whatever community you're living in. If a great career opportunity comes along, you can feel free to take it, even if it means uprooting. We tend to think discounts are set aside for seniors or little kids, but that's not true. Businesses are happy to offer discounts to young people if it gets them in the door and turns them into repeat customers. Did you know that in New York City, you can get discounts to Broadway shows if you are under 30? Some travel companies offer discounts on package deals for young people. And there are plenty of discounts on everything from restaurants to movie tickets if you are still in college or graduate school. Don't be afraid to exploit your youth for discounted stuff. Young people can get away with almost bragging about how poor they are. They wear their "I survive on Chef Boyardee" stories like a badge of courage. No one looks down on them if they get by on cheap food, take on roommates, move frequently to find cheaper rent, or drive a crappy car. Young people can take that low-paying job because it will get them the experience they want. It's all part of being young and alive. As you get older, being broke isn't as cool. You now have a family and responsibilities and bills to pay. You need to wear nicer clothes, pay the mortgage, and shell out cash for your kids' activities. As you age, there's pressure to make money, save money, and actually act like a responsible human. Have you ever considered that some cultural shifts often result in fewer expenses for young people? When you think about it, young people in recent years have pushed for changes that, either intentionally or unintentionally, result in cost savings. The whole beard trend among young men? Yeah, that's saving them hundreds of dollars in shaving costs each year. Casual dress codes? So long, expensive suits and ties. The desire to work remotely? That's reducing commuting costs. The sharing economy? Young people deciding that it's cheaper to borrow than buy. 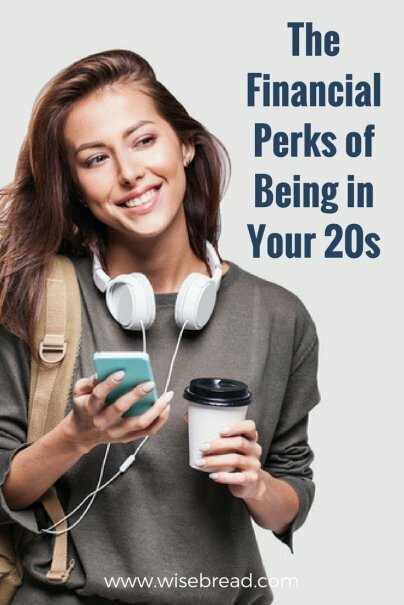 People in their 20s are the ones establishing and taking advantage of some of these trends. Some of it is due to lifestyle or fashion preference, but make no mistake that saving money is also a big part of it.